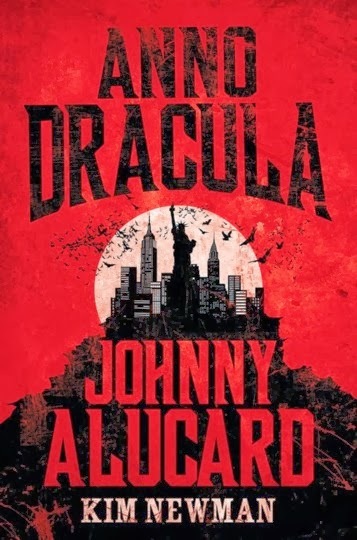 Anno Dracula: Johnny Alucard is the fourth and most recent novel in Kim Newman's brilliant and unique alternate history/horror/vampire/crossover hybrid series, mixing new material with revised versions of the many novellas Newman has done in this milieu. My illustrious predecessor Win Scott Eckert listed the crossover references in the first three books and the novellas in Appendix 2 of Crossovers Vol. 2. In Vol. 4, I will be including an update to that Appendix, covering the crossovers in the new novellas found in Titan Books' editions of the 2nd and 3rd volumes and the new material in Johnny Alucard, as well as some references in the previous books and novellas that Win missed. Whadda ya mean, "Win missed"?? I don't know if any reference was made to my short fanfic piece, "Tim Burton's Red Reign: ANNO DRACULA 1988-89," in Crossovers Vol. 2, Appendix 2. I know it was on the website at one point. Mr. Newman has requested that ANNO DRACULA fanfiction "not exist." Therefore, I have had the story pulled from the websites it had been posted to. It effectively no longer "exists."